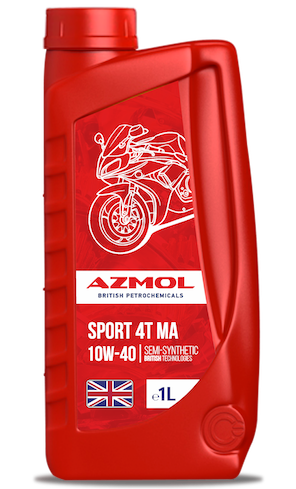 AZMOL Sport 4T SAE-10W-40 – semisynthetic low-ash engine oil for modern high-powered four-stroke engines of motorcycles, ATVs and other motor vehicles with any coupling. The oil reduces the time the engine reaches maximum speed and provides full power output by the engine. Guarantees the maximum performance of the engine without reducing its resource.